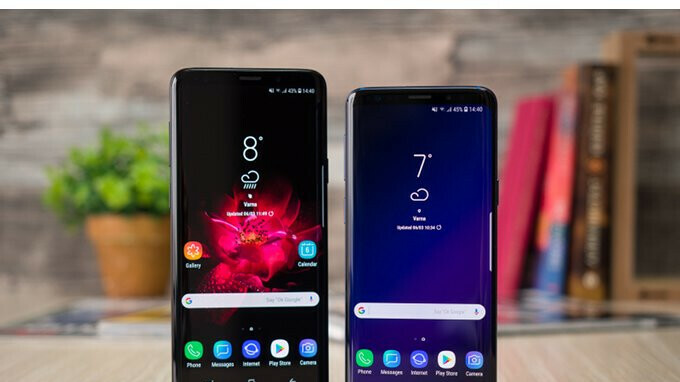 Apparently, the Galaxy S9 and S9+ have been plagued by some call issues, which somewhat forced Samsung to release a new update to address these problems. Moreover, these issues seem to have been pretty widespread since owners from Europe, Africa, Australia and the Middle East reported their smartphones have been having call stability problems. It took Samsung a few weeks to acknowledge the problem and find a fix, but two updates are now available for the Galaxy S9 and S9+, which feature the following firmware numbers: G960FXXU1ARD4 and G965FXXU1ARD4. Each of these updates weighs in at 150MB and have been specifically released to repair the call stability issues. In addition, Samsung has decided to improve the quality of Wallpaper while at it. We're not entirely sure if the update fixes the annoying call issues, but let's hope it does. If own either of Samsung's flagships and did not receive the maintenance update, you can head to Settings / Software update and force pull it manually. Seems this issue on Android Oreo same as pixel 2 xl. Why were not they stable at first place? So much money and then call ain't stable. Seriously??? They fix it even before media make news about the problem, is that still not good enough? Too late , sold my s9+ , because it couldn’t make calls properly and samsung employees did not acknowledge the issue , or even bother . And now it took them more than 40 days to fix the most basic function of a smartphone. I actually have an Exynos S9, and i haven't had a single issue with my call quality, it's been completely stable and with no drops. I think the issue isn't really as widespread as Phonearena makes it sound, as this issue definitely would have been discovered instantly by reviewers and initial buyers, if the Galaxy S9 was actually having massive issues with call quality, just like it was instantly noticed on the Pixel 2's. My Wife has the S9+ and has Call Quality Issues since the last Patch that went OTA. Also, I have an Unlocked Note 8 and I have had Call Quality Problems since being Updated from Nougat 7.1.1 to Oreo 8.0 where I have the Same Issues as in the Article as well as when I try to make a Call, I just get Dead Air and then I hang up and make the Call the second time which then goes through. Then there's the Dropped Calls, the Calls that Fade In and Out for Both sides of the Call or just abruptly going silent for either side of the call for 3 th 20 seconds at a time. What The Heck!!!!!!!!! !